Sweet as sugar: Learn the art of decorating of cup-cake-party. Cup cakes are mini cakes which are baked in the shape of a very small cup. 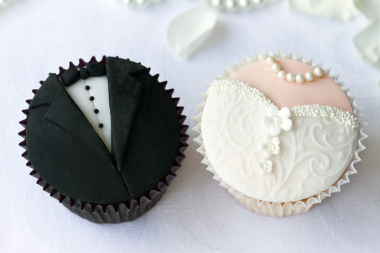 Often compared to muffins, cup cakes have a much lighter sponge and sugar sweet taste which is also why they are very popular as a dessert and are, for many, also a good alternative to the classic wedding cake. Each cup cake is a miniature work of art and their toppings, also called frostings (colourful crèmes) and imaginative decorations are often very eye-catching. Whether hundreds and thousands, nuts, marzipan figures, fruit or chocolate, your cup cake enjoyment need know no limits! The small works of “cake art” are often much easier to create than they look. Important is that the crème on the cakes, the frosting, keeps its shape and for this the cakes need to be cool and firm. 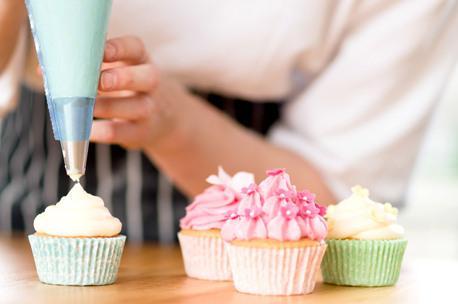 You can apply the frosting with a spoon or artistically with a piping bag to create delicate swirls. Our skilled baker / confectioner will give you many tips to help make your sweet treats a success. You can take your personally created and stylishly decorated cup cakes home with you and surprise your family and friends. All materials, 4 cup cakes to take home with you incl. 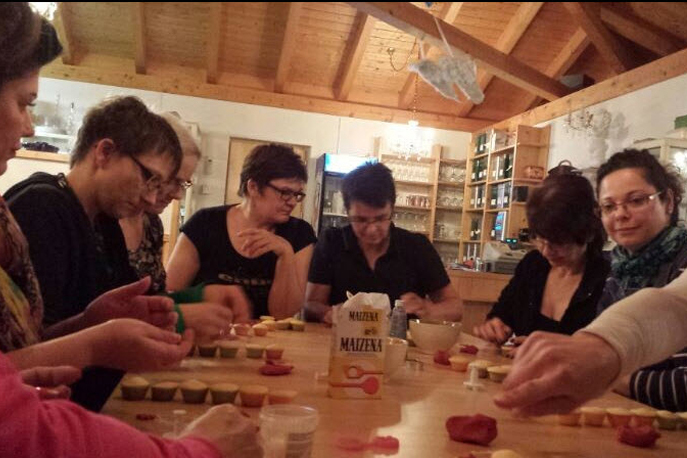 a small box, savoury aperitif, 1 illustrated recipe, supervision by experts. The cup cake workshop can also be combined with various outdoor events to create a good combination of indoor and outdoor activities.